by Various Author · Nathaniel Philbrick Author of introduction, etc. 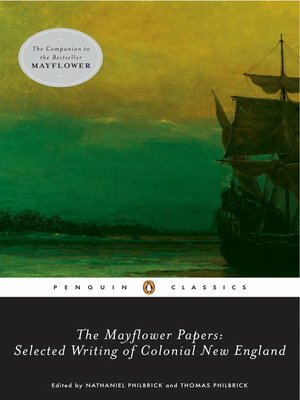 National Book Award winner Nathaniel Philbrick and his father, Thomas Philbrick, present the most significant and readable original works that were used in the writing of Mayflower, offering a definitive look at a crucial era of America?s history. The selections include William Bradford?s ?Of Plymouth Plantation? (1651), the most comprehensive of all contemporary accounts of settlement in seventeenth-century America; Benjamin Church?s ?Entertaining Passages Relating to Philip?s War 1716,? an eye-opening account from Church?s field notes from battle; and much more. Providing explanatory notes for every piece, the editors have vividly re- created the world of seventeenth-century New England for anyone interested in the early history of our nation.